When we think about a healthy diet, we think of whole, real-food sources of vitamins, minerals, proteins, fats, and carbs. However, one component that we may sometimes overlook is probiotics. While they have received much more media attention in recent years, some people are still confused as to what exactly the point of probiotics really is. What’s the deal with probiotics? The meaning of the word “probiotic” is “promoting life.” This is essentially what these live organisms do. They are needed by our bodies to keep our gut bacteria in balance. When our gut bacteria is favorably balanced, it leads to the optimal health of many systems and functions. Within our digestive systems, colonies of beneficial bacteria, as well as harmful bacteria, thrive. When the harmful bacteria climb higher in numbers than the beneficial bacteria that work to balance it out, the immune system can be compromised, and digestive issues such as bloating, diarrhea, and constipation can occur. However, the effects of probiotics are being discovered to be even more far-reaching than this. More and more research on the benefits of probiotics is coming to light. A new study has even linked healthy gut bacteria balance to easing depression. The new study, performed at the Leiden Institute of Brain and Cognition in the Netherlands, and published in the journal Brain, Behavior, and Immunity, was the first to examine the relationship between probiotics and the thought process defined as “rumination.” Rumination is essentially the cyclical thought process that causes us to overanalyze and dwell on negative thoughts, especially of past events. For their experiment, Steenbergen and her co-researchers enrolled 40 healthy participants, who were given a probiotic powder — or a placebo — mixed with water or milk each day for four weeks. Before and after the study, the participants filled out questionnaires designed to determine their depressive tendencies and reactions. While more research needs to be done, it is an exciting avenue indeed. Besides strengthening the immune system — much of our immune system is actually housed in our gut — and regulating the function of the digestive system, probiotics also have many other health benefits. For starters, they have been linked to reducing system-wide inflammation, which may be at the root of many chronic illnesses. 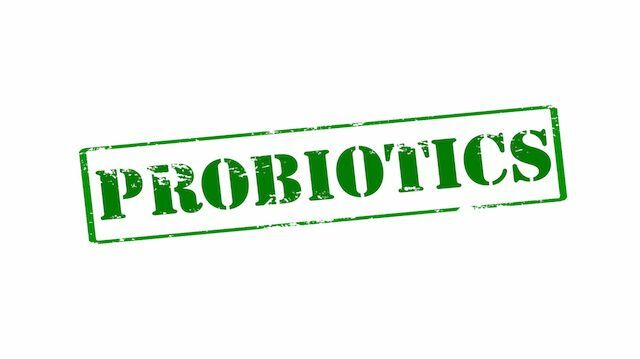 Also, when good gut bacteria become depleted through the use of antibiotics, a poor diet, an illness, or certain environmental factors, probiotics can help to restore the balance. In short, the areas which govern emotions such as anxiety in the women’s brains were found to be less reactionary after ingesting the probiotic yogurt. Some research has linked probiotics with easing the symptoms of serious digestive ailments including Irritable Bowel Syndrome and Crohn’s disease. They are also linked to blocking the absorption of fat by the intestines, which may help to promote a slimmer waistline. It doesn’t end there: a 2012 study presented by the American Heart Association linked a probiotic strain known as Lactobacillus reuteri (found in meat and dairy) to lower levels of LDL “bad” cholesterol. These levels were lowered by almost 12 percent more than the levels of participants who received a placebo. If these benefits weren’t enough, probiotics have also been linked to combatting urinary tract infections, fatigue,and muscle pain — as these symptoms may sometimes be caused by gut bacteria imbalances. With more and more knowledge of probiotics spreading through the media, a cascade of probiotic supplements have hit the market. 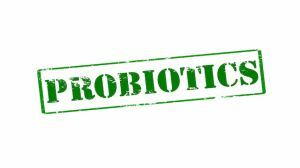 However, while some manufacturers do work hard to preserve the integrity of their supplements, real food sources of probiotics are in most cases far superior. This is because a probiotic entering your system in capsule form is less protected than a probiotic in its natural state, within a food. This raises the likelihood that the probiotic will be inactive, or at least compromised, before it reaches your gut. Also, if you do choose a supplement, be sure to seek out a source you trust. As the FDA does not regulate supplements before they hit the market, there is a high risk for contamination — or simply a dud product — if you are not buying from a trusted, responsible manufacturer. When it comes to real food sources of probiotics, kefir is hard to beat. While yogurt is better-known for its probiotic qualities — and as result many ineffectual representations exist on the shelves — kefir has a edge. Kefir is a fermented milk product that has been celebrated for hundreds of years for its healing qualities. Its flavor is more sour than that of yogurt, and it has a yeasty quality due to the culturing process it undergoes. Kefir contains calcium, B-vitamins, protein, and considerably more probiotic strains than yogurt. Not only are there more probiotic strains in kefir than in yogurt, the probiotics found in kefir work to recolonize your gut with healthy bacteria. This means the strains build upon themselves, and continue to nourish your gut long after your glass of kefir is gone. The structure of kefir itself also protects the strains as they travel to your gut — leaving more of the goodness intact and undissolved by stomach acid. Want to amplify your kefir further? Check out our article on the supercharged benefits of coconut kefir water — along with a recipe to make your own at home! There are a number of delicious and nutritious foods — both fresh and fermented — that offer probiotic benefits to your body. Here are seven superfoods that your gut should not go without! Note: When it comes to fermented foods, we’re not talking about highly processed, packaged versions of sauerkraut and kimchi — we mean the real thing! Be sure to check your labels, and ideally, get your hands on some homemade versions. Or, if this is not an option, seek out some locally-made versions created with care, and without the use of any additives. So, once you incorporate probiotic-rich foods into your daily diet and keep up the habit for a few weeks, take a note of your mood, as well as the state of your health. You’ll likely notice some vast improvements across the board! Previous articleAdd These 7 Things to Your Water to Lose Weight and Fight Inflammation! Next articleIs Intermittent Fasting Safe for Women? Hey Buddy!, I found this information for you: "Can Probiotics Make You Happier?". Here is the website link: https://www.thealternativedaily.com/probiotics-happier-pills-depression/. Thank you.